SEE & HEAR it - like never before. Dark Star provides state-of-the-art concert lighting & audio solutions of all types & sizes throughout New England. Since we love what we do, making events look, sound, & feel awesome every single day is essential. Our small, multi-faceted crew of degreed professionals work as a team to make your concert efficient, impactful, and beautiful on every level. We make renting a mobile stage for your live event simple, streamlined, and safe. All staff members of Dark Star are certified Stageline technicians. From the compact SL100 to the perfect festival-sized SL260, and to even the largest of the Stage Line models, the SL320, our stages are a sure way to amplify your concert's production value. SL100: All-aluminum & hydraulic-powered: It fits everywhere. 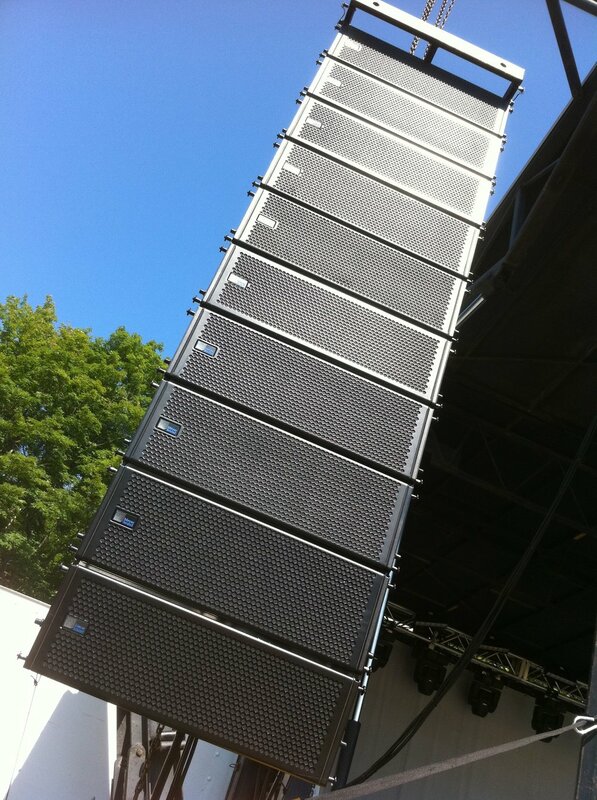 SL260: Most popular & highly versatile: The perfect festival stage. SL320: Efficient and tough: The largest of the Stageline SL series. Lighting isn’t just illumination, It is subtext and emotion. We believe in the unique balance between creativity and technology that brings performances to light and audiences to smile. We consistently upgrade our lighting inventory with the latest industry technology to implement professional design for your event. The Grateful Dead’s original sound engineer, Owsley “Bear” Stanley, first tapped Meyer Sound to create acoustic solutions for the legendary “Wall of Sound” system in the 1970s. Technology has come a long way since 1970, but Meyer Sound continues to revolutionize the industry. That's why we have been with Meyer Sound from our beginnings, and nowadays... they are making some of the clearest and most transparent sounding boxes in the world. Hear your concert through a Meyer rig - you won't be disappointed. Miles of cable ready for any power distribution challenges. Silent concert grade generators of all sizes. Staging concepts heavy-duty steel barricade. Heavy-duty barricade & light-weight barricade fencing "bikerack".